Written By a Black Employee! And while many of us would swear by the colloquialism that goes, “when you know better, you do better” because we cook at home more and eat healthier, many of us would probably be lying if we didn’t admit to craving an IHOP pancake breakfast — at least every once in a while. But did you ever look at the receipt…closely? When YOU last visited, did the receipt actually supply a “description” of who had ordered the food? Oh, don’t bother. It’s too late to look for it now. 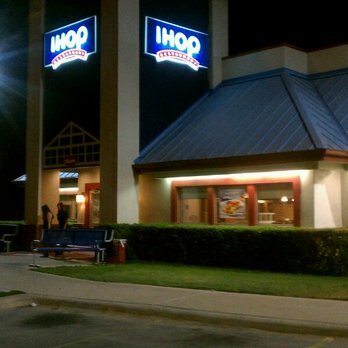 But you’ve probably heard about the Texas IHOP employee who had the audacity to describe two of the restaurants patrons on the receipt he wrote as simply, “Black Ppl,” yes? Now before I go forward with this story, I’m going to come clean. When I first heard about it, and saw the receipt, I automatically assumed such a description (coupled with the state it was coming from…Texas) had been written by a white person. I had the look down and everything. Thin, scraggly unkempt-looking hair, basically unattractive with jealousy issues. Man or woman didn’t matter. Same description. And I know I am not alone on this. I will forego the look I am experiencing right now. Purely for your sake. C’mon over to EURThisNthat for more. And see what the writer suggests the offended couple do, moving forward.